Once again I have broken my own rules of land travel by taking a flight to a destination but I still feel documentation is important, not least as a journal for myself. 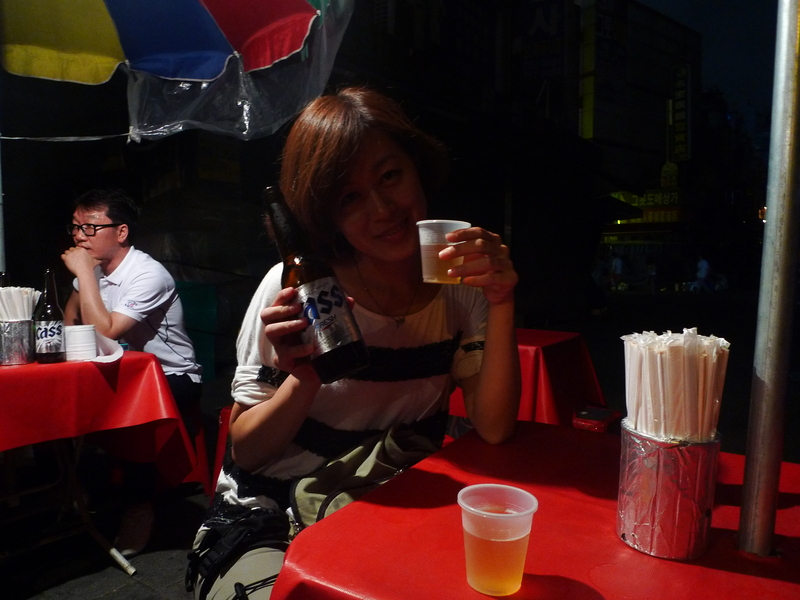 Me and Yini landed in Seoul on Saturday night, found our hotel, then went out to explore. The city was surprisingly quiet for a Saturday night but we did find a vendor in Namdaemun market where we had a bite to eat, but other than that, almost everything was closed. 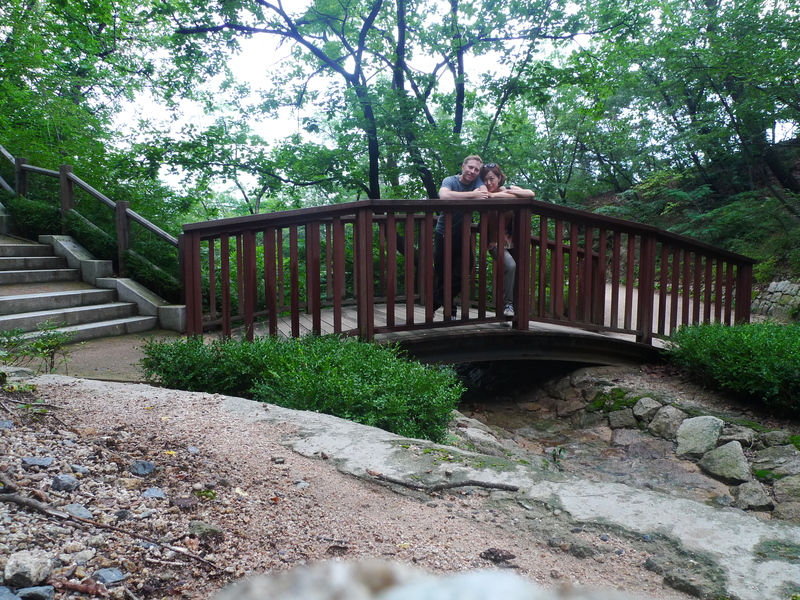 On Sunday we woke up late then went out to explore. I have seen many of the major sights before, so we decided to go for some less well known ones. 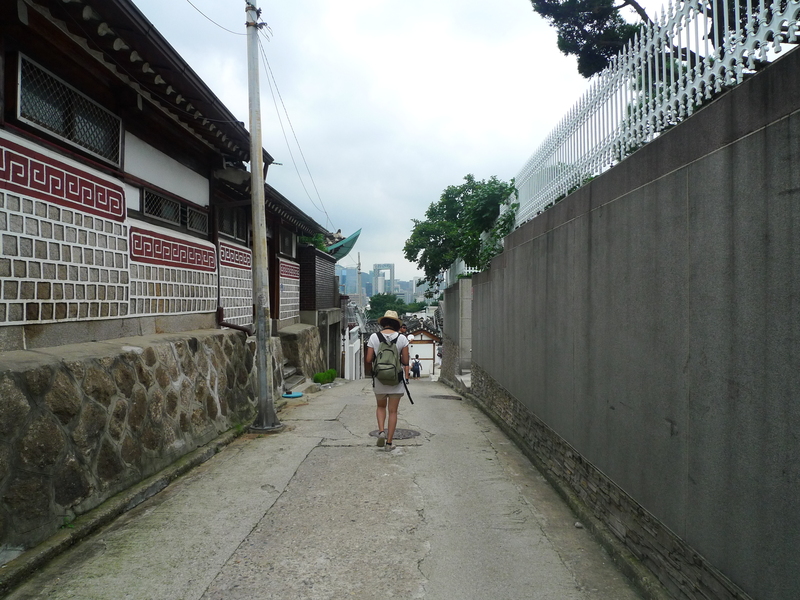 We started with Bukchon village, an area where most houses are built in a traditional style, only a few hundred meters from downtown Seoul; it wasn’t as special as we expected but still worth a visit. 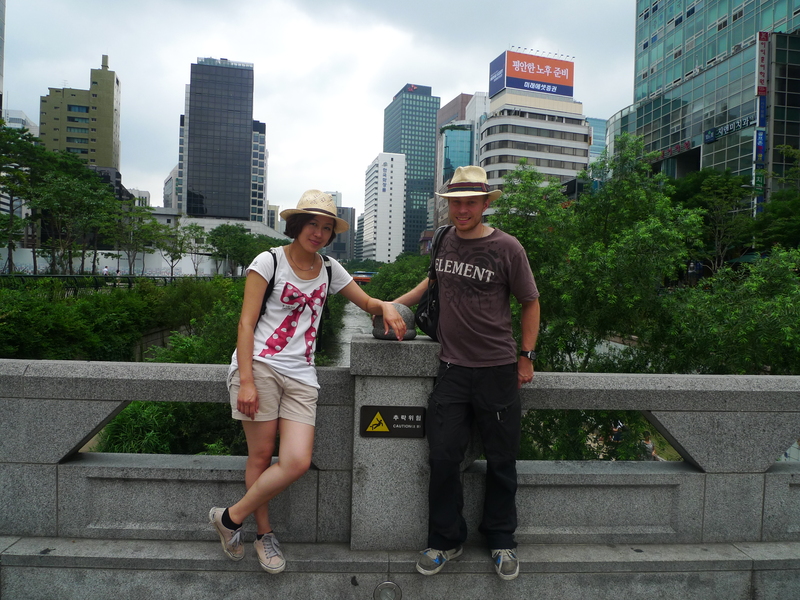 From there we went to Insadong Gil, a pedestrian shopping street like any other in a big metropolis. 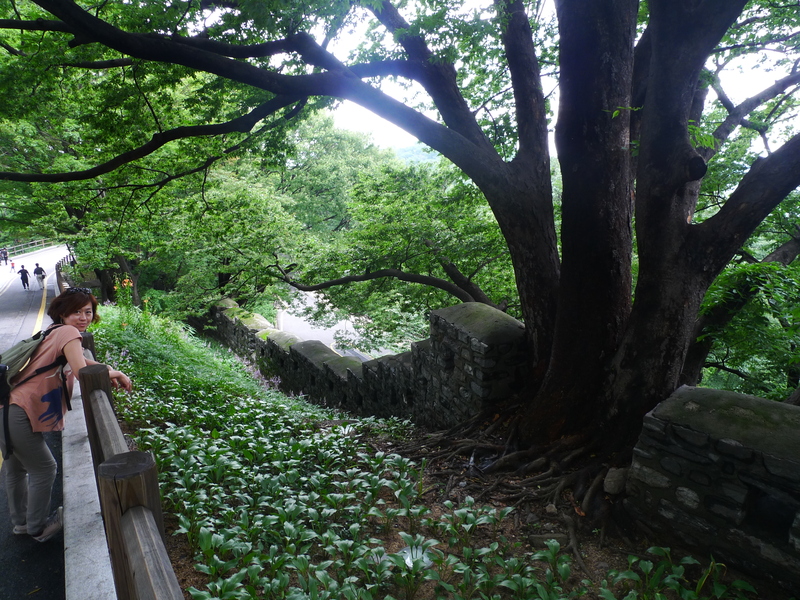 About a block or so south of this area we came upon a small river, crossing the city from west to east. 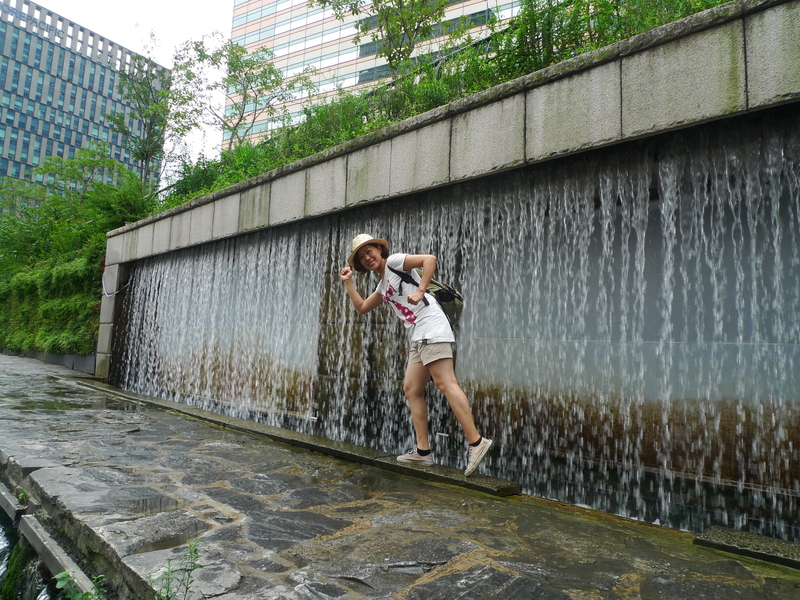 We went down to dip our feet in the water and walk along the riverbank towards our next goal, Dongdaemun. I really like this little oasis of green leaves and flowing water in the midst of glass facade buildings and shopping streets. 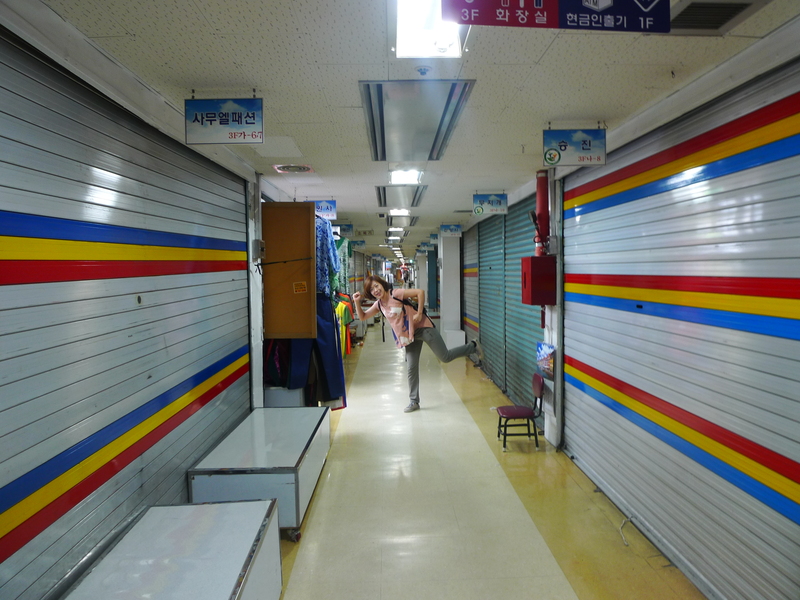 Dongdaemun was not much to see, the nearby markets being closed on a Sunday. Instead we took the metro all the way to Gangnam for some obligatory Gangnam style posing, then headed back to the hotel for some food and a bit of rest before trying out the Korean night life. 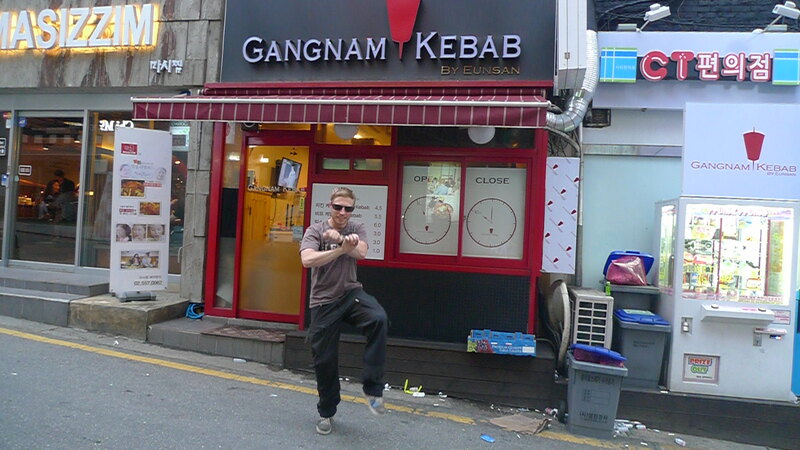 Im sorry to say we only found Gangnam kebab, not Gangnam style. Tired from the day before, we woke up late on Monday as well, and headed directly for dongdaemun and the pyeonghwa clothing market. 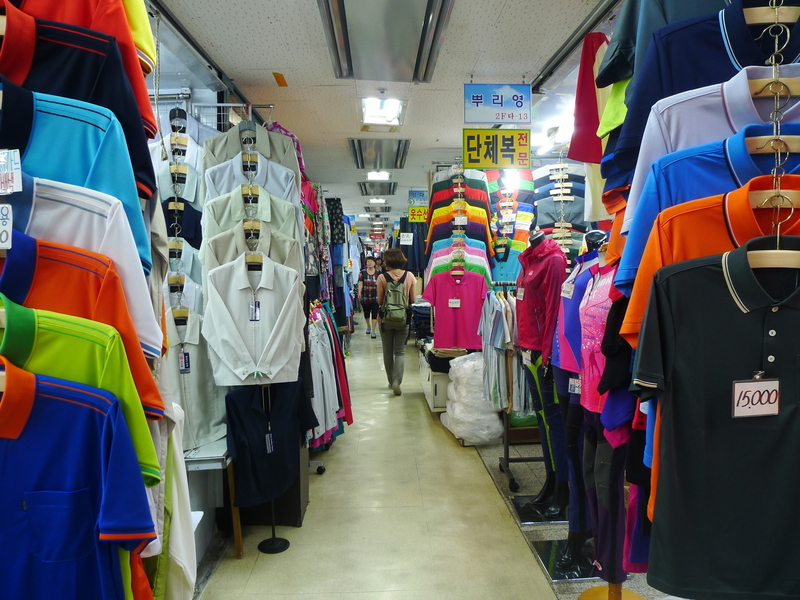 This is a long streched, three storey building full of little vendor stalls that sell clothing. 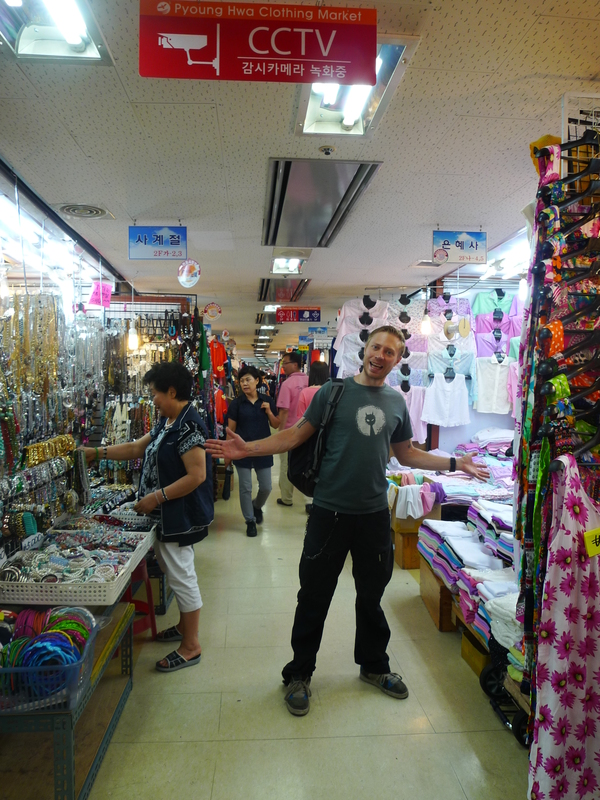 It is kind of similar to the silk market in Beijing, but the clothes are not brand name copies, and there is less haggling, but very fascinating all the same. 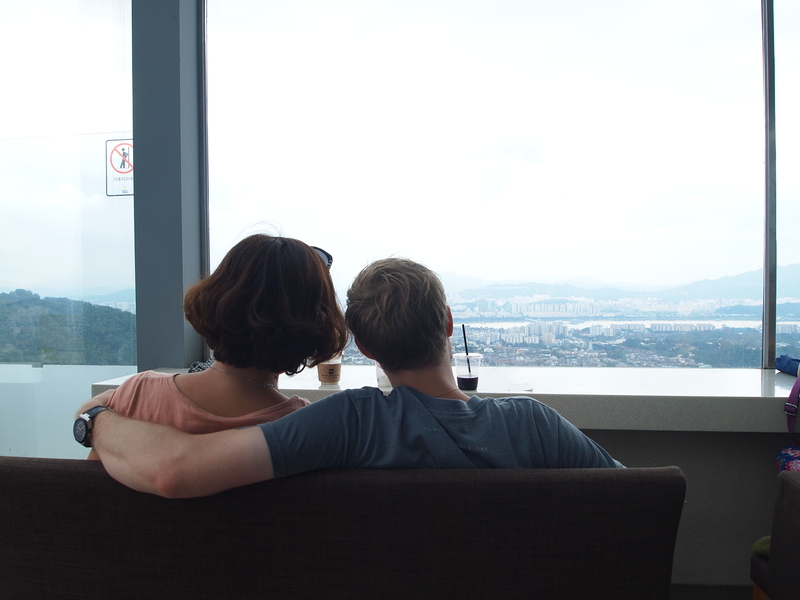 Having explored the market, we went south to Namsan mountain and took a cablecar to the top for a view of the city. On the walk down however, we got a bit lost, but after a short detour, we ended up in more or less the right place. 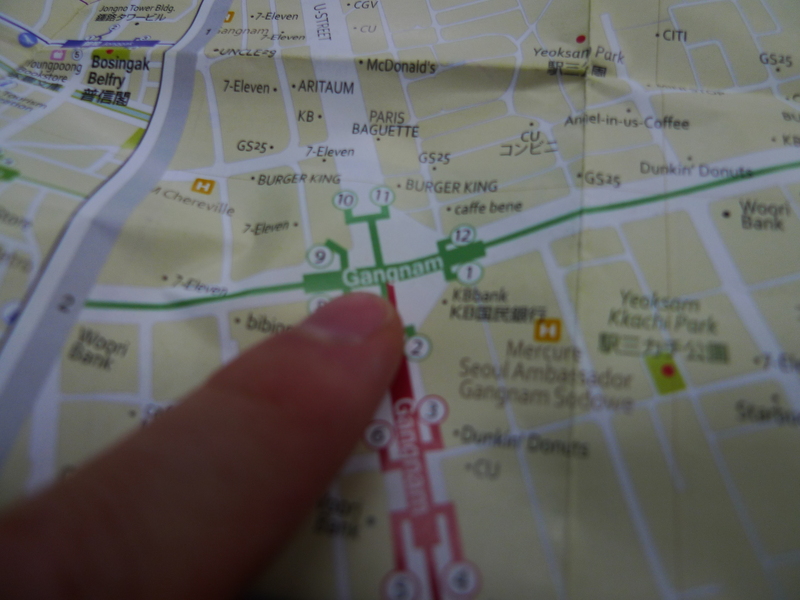 We walked to popular shopping district Myeong Dong, had some dinner and strolled around looking at the massive amounts of people before heading back to the hotel. We ended the night by going to a Korean spa. Essentially you had a choice of different sauna rooms with different temperature and aromas, the best of which was one where you could lie down in warm salt, and one that was more or less just a walk on freezer. For a more detailed description, check out this. So far, the spa is the best part of our visit to Korea, we will definitely go back.